Ready to try a front pocket wallet? We've partnered with Rogue Industries to get Primer readers a 20% discount sitewide, including their best-selling American-made Bison Leather Wallet and Waxed Canvas Duffle. Use code PRIMER20 at checkout, valid for a limited time! What’s the first annoying thing you have to do after leaving the house in the morning? Sure, you could say, “Go to work,” or “Sit in traffic,” but is that really the first frustration of the day? The first speed bump of my day is in my own back pocket. I’m talking about my wallet. The Wallet Shuffle Is Super Annoying … Is It Necessary? When I commuted to work on a train I had to discreetly transfer it from my back pocket to my backpack or briefcase to avoid sliding in to the person next to me. Now that I drive to work, the first thing I do when I slide into the driver's’ seat is fish it out and toss it in the dashboard cubby (where, incidentally, I sometimes forget it). At least it's safe in the car, are you one of those guys that immediately puts their wallet on the table or bar to avoid having to sit on it? 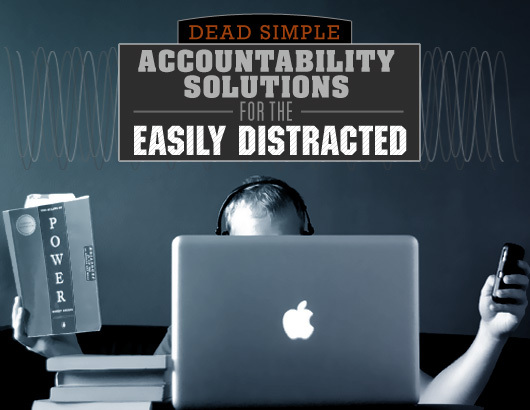 How many times have you had to scramble back later when you realize you left it there? We're looking at you, Shane Martin. 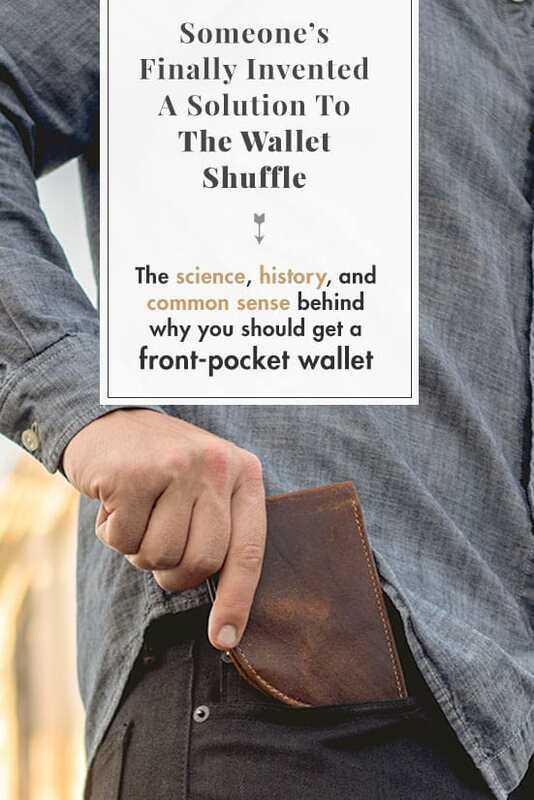 It’s called the Wallet Shuffle, and it’s a near-daily irritant for millions of men across the globe. Unless you rock a super-minimalist wallet – or stuff a few loose cards and bills into your pants – you’ve suffered from the Wallet Shuffle. Any time you sit down to dinner, or at a bar, a movie, or your office chair you have to take your wallet out of your back pocket and … do something with it. Unlike fear, love, and lust, annoyance – as an emotion – is little studied by science. That doesn’t mean it isn’t bad. Scientists think annoyance is a milder version of our activated fight or flight response, and chronic activation of that response is really bad for your health. In other words, those small annoyances you put up with every day aren’t doing your lifespan any favors. Why Do We Put Wallets In Back Pockets, Anyway? While the origins of walletry stretch back to ancient Greece, the concept of the wallet didn’t come about until the widespread adoption of paper money in the 1600s. Before then, people used coin purses – which actually sounds much, much worse. The early wallet wasn’t just for money. In addition to calling cards, bills, and account books, they were also used for tobacco, dried meat, and fire starting paraphernalia. The modern, multi-slotted bifold wallet arose in the 1950s as credit cards became popular. The question is, when did men start carrying them in their back pocket? Despite exhaustive research, the answer to this question is shrouded in the mists of time. One possible explanation: as suit jackets became less commonplace in the 70s and 80s, men had to put their wallets somewhere. It’s not just the risk of those pesky pickpockets that swarm America’s streets – a wallet in your back pocket can be bad for your back. 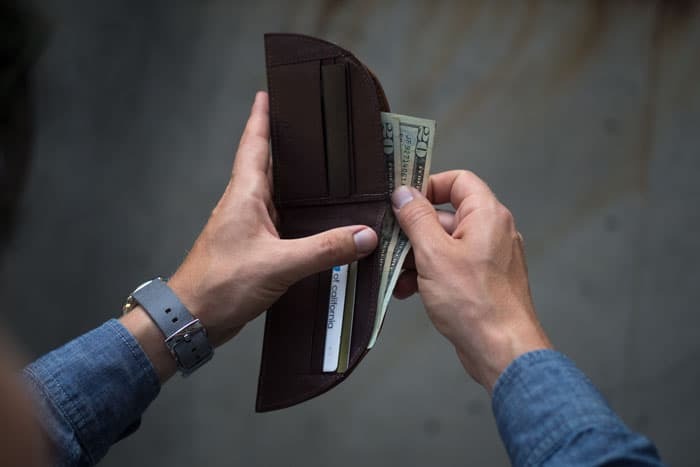 According to one chiropractor, the imbalance of sitting on a wallet can lead to pain, irritation of the sciatic nerve, and eventually joint degeneration in the lower back. Don’t let your wallet ruin your squat form. It’s time to try another path. The solution to the Wallet Shuffle is clear: divest your physical assets, acquire crypto, and move to an intentional community that functions on the barter system. Or try a front pocket wallet. You could, of course, empty out your existing wallet to the bare essentials and rock that. 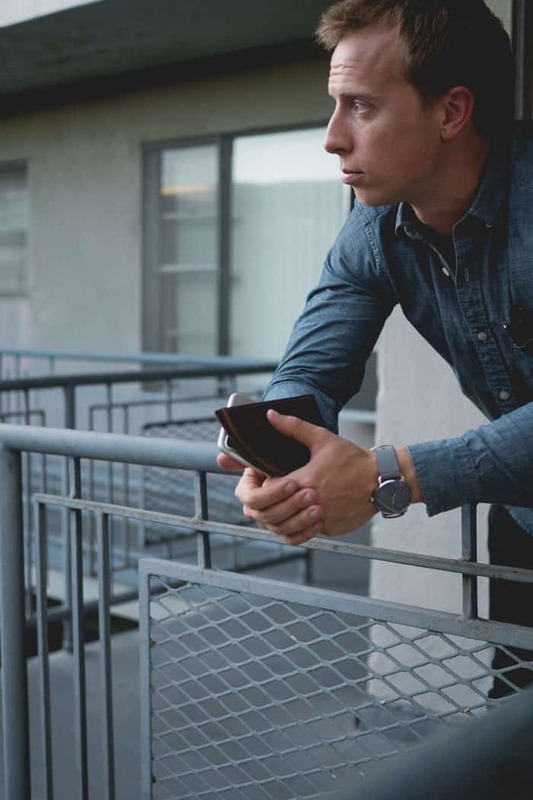 But if you’re going to really give the front pocket lifestyle a fair shake, it helps to have the right equipment – a wallet designed to fit in your front pocket. The aptly named Front Pocket Wallet from Rogue Industries is the internet’s answer to the Wallet Shuffle. Designed specifically for all-day front pocket carry, the Rogue wallet is the wallet you, your dad, and your granddad wish you’d been rocking all along. The curved shape of the Rogue wallet isn’t a gimmick. In our testing, the curved section is the design feature that makes this wallet work – the curve removes the unsightly, uncomfortable bulge made by a traditional wallet in a front pocket. At a quarter-inch thick, the wallet is large enough for multiple cards, cash, and some extras but is designed to minimize your overall wallet profile. If you want your wallet to be a super-hauler, this isn’t the model for you – and you probably shouldn’t carry it in your pants, anyway. Rogue Industries is a small, family owned shop headquartered in Maine that clearly takes pride in the quality of their leathers. Our American-made moose leather wallet is supple, free of blemishes common to mass-produced wallets, and smelled fantastic. The stitching is excellent. While Colorado bison is Rogue’s mainstay leather, they offer options in deerskin, football, and napa leathers as well as ballistic nylon. For the adventurous, there’s even stainless steel and tweed. The combination of build quality and purposeful engineering made the classic Rogue Front Pocket wallet comfortable for all-day use and its slim size meant I wasn’t worried about a bulge in my front pocket. Not having to do the Wallet Shuffle was awesome. There is one drawback to adopting the Rogue – or any front carry wallet, in fact: hard choices. I’m accustomed to carrying a ton of cards, and even doubling up cards in a single slot. While the Rogue would certainly allow multiple cards in a single slot, it defeats the purpose of having piece of kit purpose-built to be slim and discreet. 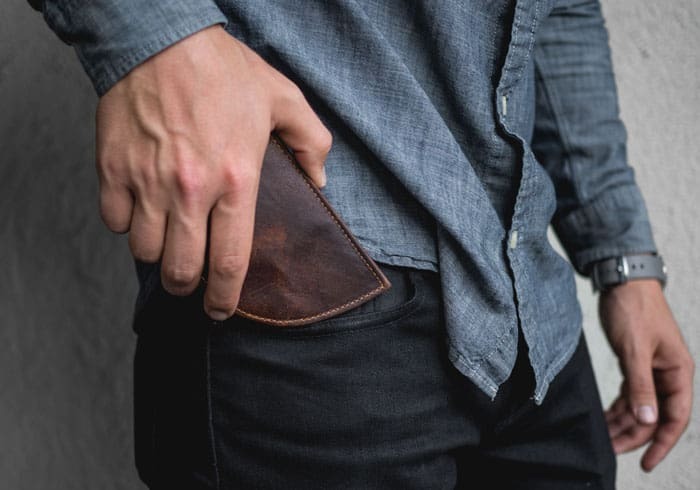 Whether or not you opt for the Rogue Front Pocket Wallet, it’s worth slimming down your billfold and giving front carry a try – it saves your back and kills the Wallet Shuffle forever. Worth it. For readers of Primer, Rogue Industries is offering 20% off sitewide, including their best-selling Bison Leather Wallet and Waxed Canvas Duffle. Simply enter the code “PRIMER20” at checkout, valid for 30 days! the last time that i wore a wallet in the back pocket, i didn’t even need to be mugged, they could see the fat bulge in the back of my pants, “gone in 3 seconds.” that was thirty years ago. i’ve never owned a specific front pocket wallet, but my wallet lives in my front pocket, and if the ladies are impressed… LOL. major part of my EDC, front pocket only!!! Me too. I lost a wallet 20 odd years ago when I carried it in my back pocket. I’m positive it was lifted by a light fingered miscreant. It’s obvious now, but I have to say, if you carry anything out of sight in your back pockets you’re asking to be pickpocketed. Ps. I can recommend Secrid wallets. Slim and RFID proof. Now if only I could solve the bundle of loose keys issue…. I can’t remember the last time I had a wallet in my back pocket, it was probably in the early 90s, never liked the feeling, I always have my wallet in my front pocket. I’ve been using a card case as a wallet in my front pocket most of the time for years. Turns out ID, CC, and a few bills really are all I need. Damn. That’s a much better price than I was dreading. My wallet is yuge. I could use something like this. Thanks for the informative article. I don’t really understand the premise on which this article is based on. Having a massive wallet and carrying it in the back pocket is super inconvenient. In the place where I live now, hardly anyone does it. As a guy, if you just keep the BARE minimum things that you really, absolutely, need then you can ALWAYS keep it in your front pocket no matter the circumstance. Simple, safe, straightforward. No back pain, less chance of it being stolen or forgetting it somewhere. The premise is that this article is an advertisement. Problem with this is that it misplaces either your phone or keys, and both of those are more ill-suited to a back-pocket than wallet. My thoughts exactly. I see all of the benefits of a front pocket wallet, but to use one, I have to carry either my keys or phone in my hand, or I have to stash one of them in the same pocket as my wallet. Both options defeat the purpose of a front pocket wallet. One of the most amazing things I found when I bought some of the 5.11 Defender Flex pants is the “hip” pockets – half width pockets which fit a set of keys or a small secondary item such as a pen PERFECTLY. I’ve used a card case wallet in my back pocket for about ten years. It’s great and I don’t have to add any bulk to my front pockets. I like these wallets too but a card case wallet works amazingly.